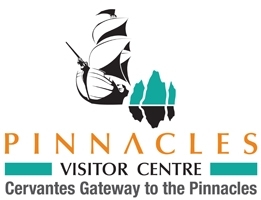 Pinnacles Visitor Information Centre - For the best selection of Accommodation available in Cervantes. Closest Accommodation to the Pinnacles Accommodation surrounding the Pinnacles Turquoise Coast Accommodation, Tours & Information. Fully self contained holiday houses with ocean views. We do no charge booking, reservation or credit card fees. You will find your perfect accommmodation choice. We offer grea rates. Offer early check ins and late checkouts. . Welcome to the Turquoise Coast. One of Australia's best kept secrets! Centered on the town's of Cervantes, Jurien Bay and Leeman, this destination features the World Famous Pinnacles Desert, a diversity of wildflowers you won't believe, living stromatolites, unique fauna, pristine beaches, excellent fishing, and is slap bang in the middle of the renowned Western Rock Lobster fishery. Come visit us for a unique Turquoise Coast holiday, we'd love to meet you! The Pinnacles Visitor Centre is a non government organisation. By booking through us you are helping to keep our doors open so we can continue to provide local information and services to all Visitors.